Americans have long debated what constitutes good parenting. In 1928, John B. Watson advised parents to “never hug or kiss” their children. In 1946, Benjamin Spock urged parents to trust their instincts. A recent trend in this ongoing debate has focused on safety, favoring highly protective parenting. This new norm calls for constant supervision, driven in large part by fears of abduction, but also reflects a priority to protect children from any potential harm. Advocates of so-called free-range parenting have pushed back. They insist that overprotection does more harm than good, and that excessive hovering inhibits children’s development in a number of ways. 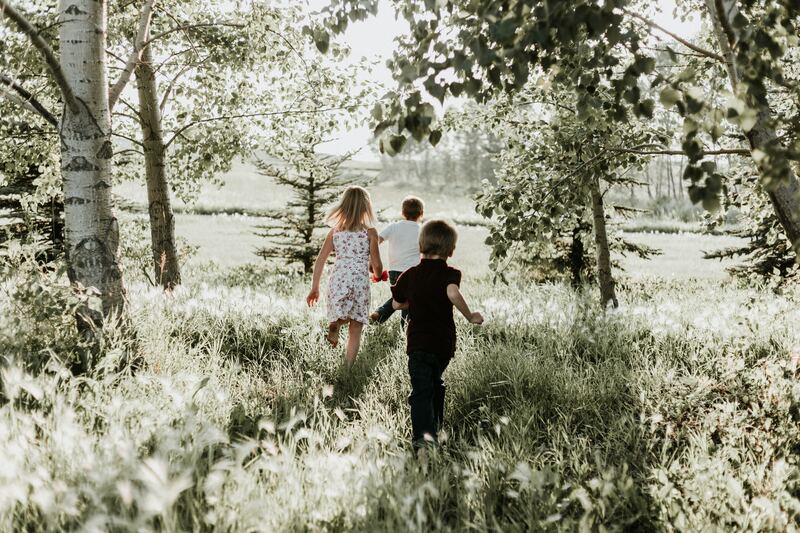 The arguments in favor of free-range parenting are compelling, particularly because the dangers and fears driving more protective parenting approaches—most notably “stranger danger”—have largely been debunked. On the other hand, children are vulnerable members of society who may need protection, at times, from even their own parents. Historically, American society has entrusted such debates to the marketplace of ideas. As a scholar who studies issues of child protection and parental rights, however, I believe that conversation may be stifled when the legal system decides to take sides. Indeed, the media has begun reporting a steady stream of legal actions taken against parents who opt for long-leash parenting. Parents have been charged with neglect and endangerment for allowing their kids to engage in various activities—such as walking to school, bicycling in the streets, playing in the park—without close adult supervision. Yet all of these activities were part of normal childhood only a generation ago. Parents who dare defy the new parenting orthodoxy risk serious legal consequences, ranging from having their children taken away to criminal prosecution. In response, the state of Utah recently passed legislation that defines “neglect” to exclude allowing children “of sufficient age and maturity” to walk or bike to school, engage in outdoor play, stay home unattended, or “engage in similar independent activity.” It is the first salvo on behalf of the free-range parenting advocates in the ongoing battle over enforcement of hyper-protective parenting norms. Parents, of course, have constitutional rights to raise their children as they see fit. But more often than not, these rights are neither asserted nor respected. When faced with the threat of having their children taken from them, even temporarily, parents understandably waive these rights and apologize and grovel, promising to adhere to highly protective parenting norms in the future. The resulting settlement allows the parents to retain custody, but effectively bullies everyone into parenting in the “approved” way. The underlying problem is far greater than the squelching of free-range parenting, whatever its merits, particularly for the less privileged, who are far more vulnerable to this type of threat and coercion. A single mother who left her daughter at the park to play while she reported to her job at McDonalds, and a single mother who left her kids to wait in the car while she interviewed for a much-needed job, were both arrested. They couldn’t afford child care, and couldn’t afford to stay home and be a full-time parent either. They were punished for parenting while poor—and, in these cases, black. They were free-range parents not by choice, but by necessity. Families from various cultural groups in America are similarly at risk, and even a law like Utah’s may not help them. For example, it has been the cultural norm in large families in Latino communities to entrust the care of little ones to their older siblings, a practice the authorities now frown upon. Scandinavian parents, who traditionally have their babies nap outdoors unattended, even in winter, have faced similar legal pushback. What about parents who want to swaddle their babies, bottle-feed them or co-sleep with them? Will they be subject to intervention by the state? I believe the Utah legislation is a landmark achievement, but it falls short of returning the larger issue of parenting style to the sole discretion of the parents. It merely carves exceptions for free-rangers into the rules—rules still dictated by the state, for how parents are permitted to parent. Libertarian sensibilities—including those of the growing array of homeschooling families, who refuse to allow the state to control how their kids are taught and socialized—are unlikely to be assuaged. Respecting parents’ rights is hard to do, given the state’s countervailing need to protect vulnerable children from abuse and neglect. Utah has tipped the balance, restoring some discretion to parents, and reopening the door, just a crack, to the marketplace of ideas on parenting practices. But the legal battle over “who decides what’s best for my child” is far from over. David, an associate professor of law (J.D., M.A., U.C. Berkeley; B.A., BYU) joined the UI College of Law in 2015. Before beginning his academic career in 2007, he worked for the United Nations, overseeing Court Management and Legal Aid at the International Criminal Tribunal for the former Yugoslavia, and directing Rule of Law activity in South Sudan for the U.N. Mission there. He has also led USAID-funded court reform projects in Romania and in Bosnia and Herzegovina, returning to Sarajevo in 2010-11 as a Fulbright Scholar. He has written on the subject of forfeiture reform, as well as on issues of child protection. He is an advocate for legal protection of parents’ rights, particularly against a state actor’s second-guessing of parenting choices, and has been cited and quoted by state appeals and supreme courts, overturning convictions in these cases. David, an associate professor of law (J.D., M.A., U.C. Berkeley; B.A., BYU) joined the UI College of Law in 2015. Before beginning his academic career in 2007, he worked for the United Nations, overseeing Court Management and Legal Aid at the International Criminal Tribunal for the former Yugoslavia, and directing Rule of Law activity in South Sudan for the U.N. Mission there. He has also led USAID-funded court reform projects in Romania and in Bosnia and Herzegovina, returning to Sarajevo in 2010-11 as a Fulbright Scholar. He has written on the subject of forfeiture reform, as well as on issues of child protection. He is an advocate for legal protection of parents’ rights, particularly against a state actor’s second-guessing of parenting choices, and has been cited and quoted by state appeals and supreme courts, overturning convictions in these cases.